Home Characteristics Are Possums Blind? – Can Possums See at Night? NO, possums aren’t blind at all. They can see things pretty well during the day as well as at night. However, their night vision is extremely limited which is why they rely on their keen sense of smell and sharp hearing to find food. Nonetheless, baby possums are born blind. They are just about the size of an aspirin tablet at birth. Baby possums are completely helpless. 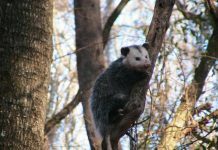 Let us study how possums can see in the daytime as well as at night. Are Possums Blind? 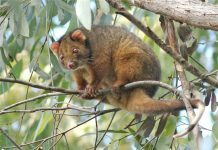 – Can Possums See at Night or only in Daylight? Possums are almost entirely nocturnal that is to say that they emerge only at night. They become active minutes after the dusk all through the night till dawn. 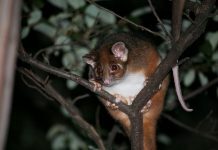 Therefore, like all nocturnal animals possums must also rely on their sharp hearing sense and strong sense of smell. At night they just can’t see things as clearly as they do at daytime. However bad their vision may be, possums are not blind except when they are born. A baby possums is absolutely blind at birth. They are highly vulnerable to predators. Sometimes buzzards may attack baby possums—damaging their eyes so making them blind forever. This is too rare. Except for the predators’ attack, possums are not blind.